Our Sash Window service incorporates any repairs or remedial work your windows require, whle also benefiting from the installation of our draught proofing system. Eliminating any draughts and rattles your windows may have, drastically improving their performance and security. This service includes our standard restoration, while also benefiting from modern, 'low e' double glazing. 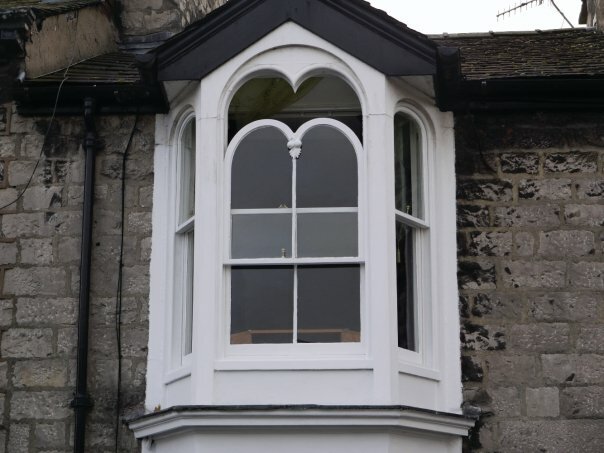 The box frames are saved and restored and new pre-finished sashes are manufactured to replace the existing sashes, cutting down on any disruption, saving on decoration costs and retaining many of your period windows features. We also supply and install a beautiful range of plantation shutters, solid panel shutters and secondary glazing, offering another option where it may not be possible to install double glazing, or where noise pollution is a problem. Let’s get this beast up and running! Sashes are now fully installed, draught proofed and operating effortlessly. Finishing touches tomorrow and then this phase of windows will be complete. The “anthracite” @teknosgbi paint finish really transforms the look of the windows on this property, and the added benefit of high performance double glazed units will make a real difference to keeping this old farmhouse warm. Sashes temporally installed for this evening and ready for finishing off tomorrow, had to nip back the workshop and machine some “outer cheek” up in @accoywood, to replace some that had been poorly spliced previously without matching the mould. This mornings progress......old single glazed sashes out, rotten cills removed, new @accoyawood cills installed. More progress shots to follow. Great to finally have a bit of warmer weather to speed things up! New spray machine. Looking forward to getting to grips with this and achieving a great paint finish on our sash windows. 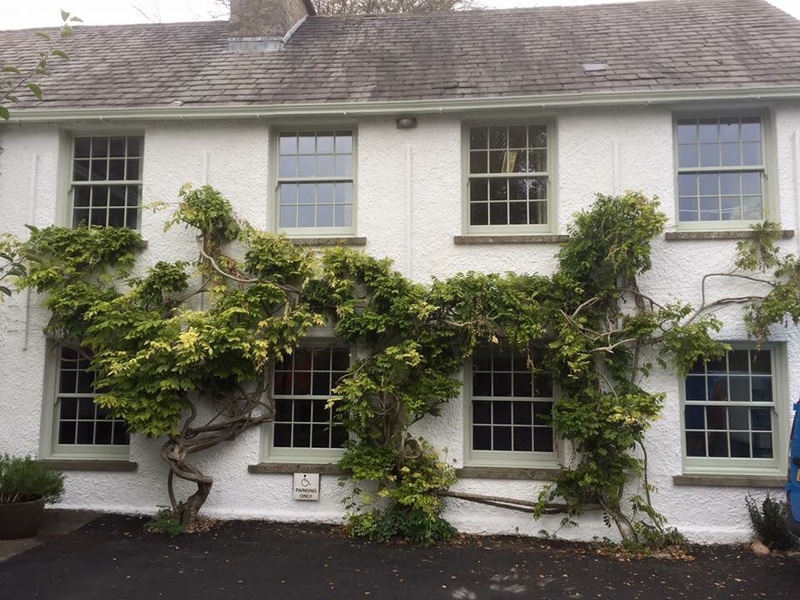 Another four double glazed sash upgrades completed over the last couple days in Ambleside, Cumbria.